Valencia City bursting with Mediterranean exuberance and charm on Spain’s southeastern coast, where the Turia River meets the Mediterranean Sea also has several beaches, Europe’s largest marine park. Your first impressions of the city is of very beautiful, ornate buildings set amongst green parklands. Old and new Valencia blends sedately into one extremely attractive city. In the centre there is a range of museums, shops, markets, historical sites and buildings, bars and restaurants to meet all tastes. Other interesting places in the city centre include the old “Lonja” silk exchange. A fine old building supported by “candy twist” pillars and desks displaying the name of workers of yesteryear, on brass plaques attached to the desk. 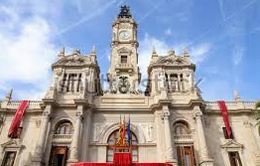 Valencia city – tourist guide. A buzzing lively indoor Market is housed in a building which was very much the rave at its time of construction. Tiled with tiles from Barcelona at a time when Barcelona tiles were to die for. The town hall building dominates the town square. This is no mean feat, when you consider how many more impressive buildings make up the town centre. Featuring free WiFi, a friendly coffee bar and a relaxing sun terrace, Zalamera BnB offers environmentally friendly accommodation, using solar panels and bio fuel. Booked 12 times today. Latest booking: 6 hours ago. Bed and breakfast: 18 rooms. A hidden treasure within the town hall, which you could easily miss, is the historical museum of the city. Containing manuscripts, banners and swords dating back to the 13th century. The National Museum of Ceramic Art displays the best of ceramic productions the country has to offer. This in a country which is famed for ceramics. You simply won’t believe the beauty of the building which houses this collection. 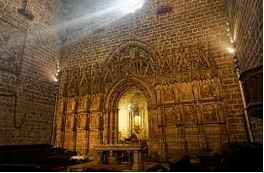 In the Cathedral of Valencia, there is yet another treasure. The Holy Grail from which Christ is believed to have drunk at the last supper is on display here. If modern is more your interest. Then try the Hemisferica, Oceanografic, complex on the edge of the city. The buildings and surroundings here are stunningly beautiful. Within these buildings you will find a “hands on” science museum. Oceanografic Valencia Oceanarium Aquarium Marine Park Acquario. Europe’s largest marine park with an impressive dolphin show, an Imax cinema which places the viewer in the centre of the film, a botanic area, art galleries and theaters. 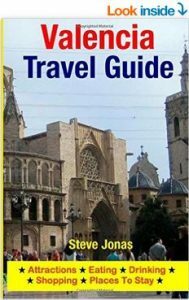 Valencia Travel Guide: Attractions, Eating, Drinking, Shopping & Places To Stay. The Spanish city of Valencia has a curious charm all its own. There are remnants of ancient history dating back to 138 B.C. sitting next to ultra-modern buildings that have sprung up since the America’s Cup was held here twice in the last few years. Welcome to Valencia – Planning Your Stay – Climate & Weather – Sightseeing – Cabacera Park & Valencia Bio Parc – Valencia Cathedral – Silk Market (La Lonja de Seda) – Central Market – Serranos Towers (Largest Gothic City Gateway in Europe) – City of Arts & Sciences – Hemisfèric Cinema – Science Museum Príncipe Felipe – Oceanogràfic Aquarium – Palau de les Arts – Umbracle (City of Arts & Sciences) – Valencia Museum of Enlightenment & Modernity – Monastery San Miguel de los Reyes – Palacio del Marques de Dos Aguas & Museo Nacional de Cerámica González Martí – Church of Saint John Hospital – Almoina Archaelogical Museum – Places to Stay – Eating & Drinking – Shopping. Take A Break Holidays takeabreakholidays, Valencia City,San Francisco De Asis, Urb Marina, San Fulgencio, 03177, Alicante, Spain.